Hammered steel A-Frame Brackets for Wooden Swing Sets or creating a frame for a porch swing. 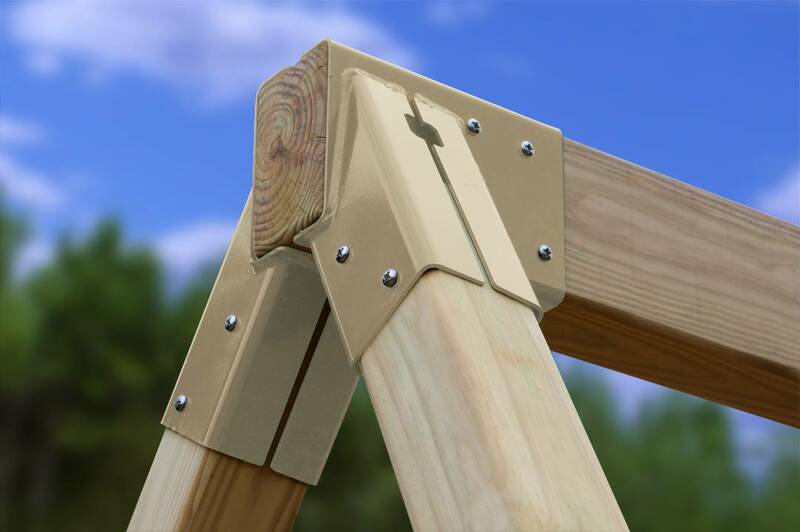 Each bracket has one horizontal and 2 diagonal wood braces to reduce side to side movement and can safely support up to 900 lbs. 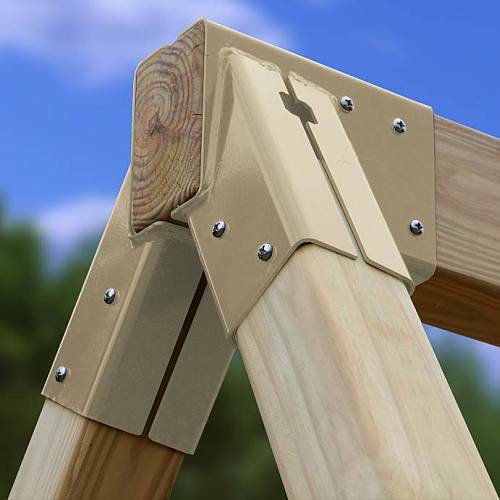 These A-Frame Brackets are sold individually and support 4x4 wooden legs and a 4x6 top beam. Recommended for residential use only and does not include hardware. Price shown is for 1 bracket, change quantity when ordering if more than 1 bracket is needed.